He’s been a frequent highlight and a good friend of the show, providing digital sets for our for the video edition. Just like to take a moment to acknowledge the passing of a man who epitomizes the phrase a “life lived fully”. The life Dos Equis’ “Most interesting man in the world” spokesman wishes he had lived. Never shall his like be seen again. 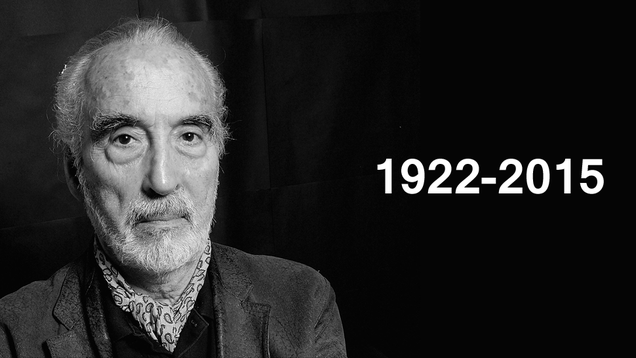 Rest In Peace Sir Christopher Lee. Last night’s premiere of Dark Matter (from some of the guys that brought us the Stargate series) shows a lot of promise, and the normally post-apocalyptic scrounging in the dust show Defiance had new aliens and an actual functioning space ship! Next week we’ll also have Killjoys, space bounty hunters. SyFy has a couple of real treats in store for us on the road ahead. A production of Arthur C. Clark’s Childhood's End and a series based on The Expanse books. I support the return of real science fiction and space opera to the channel. Best line up since the Battlestar Galactica days. Here’s hoping it pays off for them. Back in Star Citizen, we are in and have been in a bit of a holding pattern. It’s clear that there will be no more patches in the 1.1 line. Director Ben Lesnick was caught longing wistfully for “when they can patch again”. We are waiting for a blocking bug free 1.2, which will include the new server backend, Star Marine FPS, and we now learn … a flyable version of the alien ship -- the Vanduul Scythe. We don’t know when this is going to happen though. We understand we’ll see this in the test area SOON™: Could be next week, or could be next month. Even once they get a stable build, they plan on rolling it out incrementally by groups by Citizen Number. So this patch will take quite a while to be released to all. It’s looking likely that it’ll be at least a month or two before we get back to regular patching. 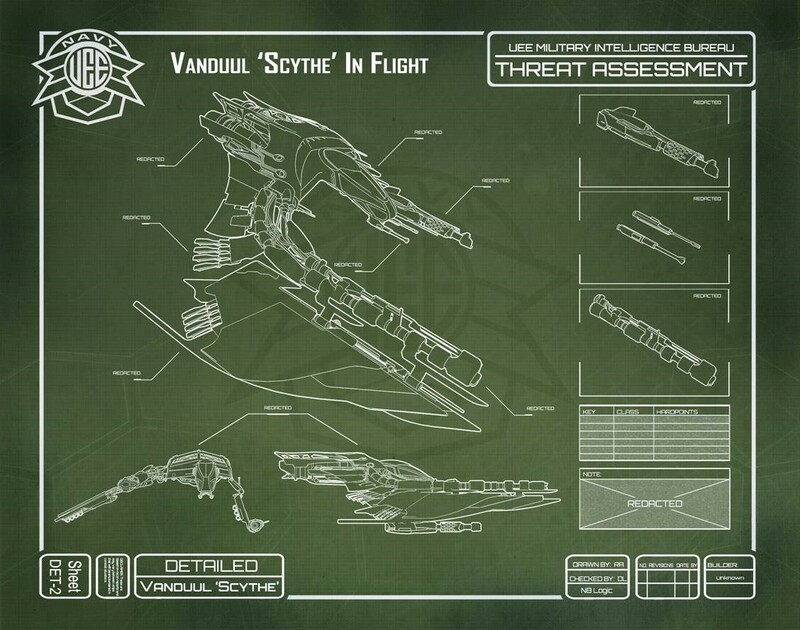 In this week’s Ship Shape, Lisa Ohanian gave us a look at the process used to convert the Vanduul Scythe and how it was adapted for human pilots (in-lore that was done by Anvil Aerospace). This has been revealed to be finally flyable in 1.2, so you’ll get to see that… SOON™. 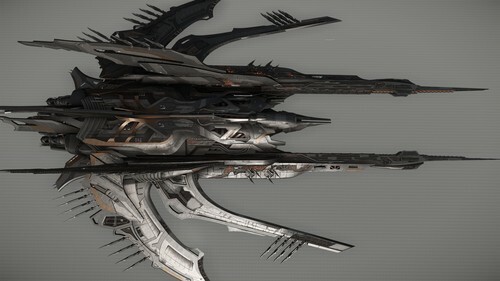 By COMM-LINK there was an in-lore reveal of the Vanduul Bomber details. This has clearly been positioned as officially releasing some of the information that has been considered “spoilers” from the leak and will likely continue with more of it’s kind. CIG has been a very good sport about the leak, and continues to do it’s best to take the lemons and make a spacefaring lemonade concession out of it. Perhaps that can be an Avenger variant? Ryan Church is working on the Crucible repair ship, Jim Martin on the Endeavor science vessel (Lisa Ohanian - RtV) and the starliner concept sale impending. A lot of the company is wrapped up with trying to finish off 1.2, both backend (increasing stability and pushing up match player counts) and continued StarMarine polish (focusing on the SataBall and Zero-G this last week as we are given to understand). But with four Studios on two continents as well as a contingent of outside contractors all over the globe… work continues on all aspects of the Star Citizen. Chris Continues with directing the performance capture for Squadron 42, and Sandi Gardiner is back in the UK shooting more scenes. This should be the last month or so of shooting. Looking forward to getting him back where we can see more of him. Foundry 42 UK is hard at work on producing SQ42 assets and implementing the early missions. Foundry 42 Frankfurt lending a hand and it’s expertise at CryEngine, as well as presumably continuing with the revisions. Integrating new 3.7 code from CryTek as well as customizing for Star Citizen. Sounds like a lot of the guys there have been aching to rebuild CryEngine for a while and couldn’t until they left the mothership and joined CIG. 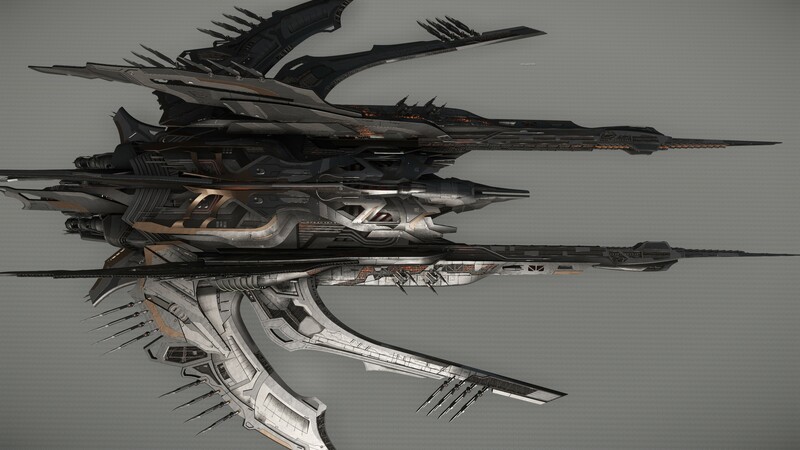 Teams continue to work Arena Commander 2.0 with the Retaliator being the focus of work. Ship design pipeline continues to churn out more ships concepts and flesh them out into hangar ready and flyable shapes. As detailed earlier. Hang in there Citizens! There’s a bit of logjam happening right now, but once they pry that loose we are going to be seeing a lot of interesting things. And … that’s all we have for now… this has been Citizen Ed, hope to see you next week … in Star Citizen!